The 2018/19 A-League will be the 42nd season of top-flight football from Australia and the ante-post betting has punters excited in plenty of time for the big kick-off on Friday 19th October. The curtain goes up with a mouth-watering clash between Adelaide United and Sydney FC and there’s nothing between the sides on paper. Five matches take place over the course of the opening weekend with Melbourne Victory and Melbourne City going head-to-head on Saturday before the bulk of the fixture list takes place on Sunday, pairing Wellington Phoenix and Newcastle Jets, Brisbane Roar and Central SC, Perth Glory and Western Sydney Warriors. The outright market is as competitive as followers have seen in many years with half a point between the top two in the charts. The latest football odds coming out of bet365 has Sydney FC 4/1 favourite ahead of 9/2 Melbourne City. Melbourne Victory share a price with their rivals, Newcastle Jets next in at 5/1. Lovers of the stats will be delighted to find Victory a bit further down the list than many expected as they rate as the division’s most successful team with three regular-season premiers and a couple of runners-up medals. That effort is matched by Sydney FC who also boast 3-2, getting their hands on the title in 2010, 2017 and 2018. Taking The Sky Blues to go three-in-a-row is sure to be a popular choice with fans despite carrying the shortest odds of the list. Taking a look at the trends from the Final Series Championships and Victory also lead the way on that front with four gongs, having finished best of the rest on two occasions. 2007, 2009, 2015 and 2018 trophies sit on the cabinet at AAMI Park. Sydney are again nipping away at their heels having come out on top in 2006, 2010 and 2017. The reason traders are in such a rush to throw the weight of their support behind Steve Corica’s side is the transfer kitty available and the head coach hasn’t been slow in splashing the cash either. 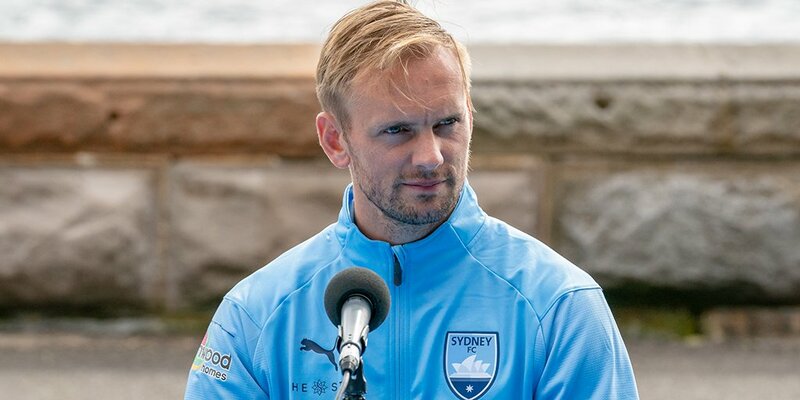 It was announced in August that Sydney added another big name to their squad in Siem de Jong. The former English Premier League player – Newcastle United 2014-2017 – moved to Australia on a year-long loan and the attacking midfielder, capped six times for Holland, is expected to hit the ground running when the season gets underway. Speaking to the press when unveiling his marquee signing, Corica promised followers the club had their hands on a technically gifted player who can both score and create goals, a man the boss expects to be instrumental in any success the team enjoys this term. ← Previous Story Sydney FC Destined for A-League Glory Next Season? Next Story → Can Former Melbourne Star Avoid Heartbreak?